Renew Your Membership for 2018! 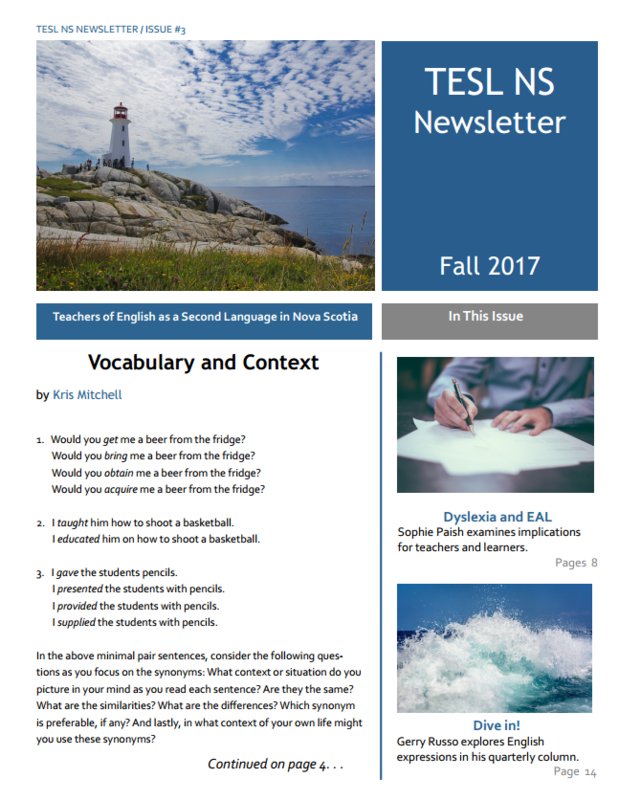 Fall 2017 Newsletter is out! 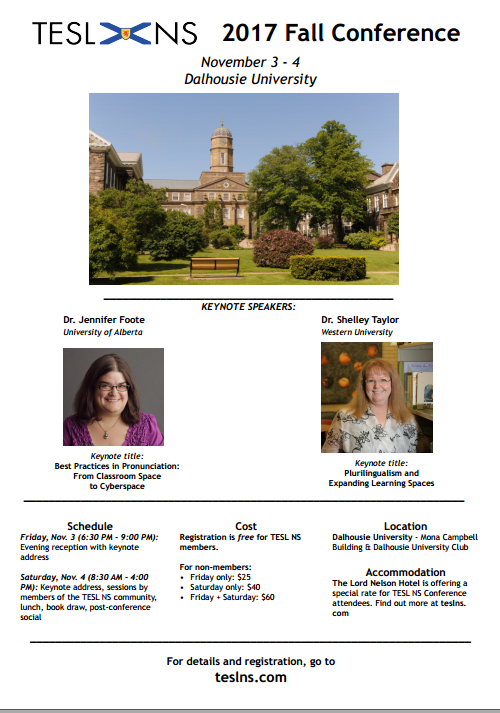 The TESL NS Spring conference was held on May 13 at Acadia University. It was a great day filled with learning, discussion, and networking.